However every women and her puppy have a podcast these days, so it can be hard to find what’s actually good. (That being said, should I start a podcast?! Hmmmm…) I’ve been down more than one rabbit hole, but luckily for you I’ve popped out the other side with 5 podcasts that are like music to my ears (except that they’re podcasts). OK, I already loved Hilary Kerr – she’s my career inspo – but now I love her even more because this podcast is career inspo times infinity. Meaning you can try your hardest to not be inspired, but inspiration’s gonna get ya! The standout for me: the episode with blogger and Summer Friday’s co-founder Marianna Hewitt. Listen asap, if not sooner! This podcast is fo’ reals. Journalist Nina Young tells the story of her father ‒ a man she doesn’t really know much about before making this podcast ‒ who is a convicted murderer. It’s an Australian podcast ‒ so support ‘dem Aussies ‒ and each week Young unravels a new part of the story. It’s only up to episode 4, but she’s got me hook, line and sinker. In this season, the Serial team want to dissect the US justice system and find out the answer to one simple question: is it working? Sarah Koenig and her crew had access to Cleveland Ohio’s Justice Centre for 12 months. Week by week they take you through a new case. 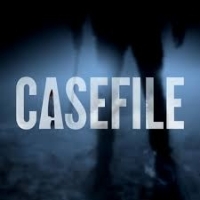 Each case features people the Serial team followed for months, and issues they’ve dissected and researched to the nines. They chat to lawyers, judges, plaintiffs, victims and the families of both. It’s eye-opening, depressing and guaranteed to make you think ‘wtf!’ more than once. The cases are from all over the world, but particularly highlight Australian true crimes. In episode ‘Case 13: The Family Court Murders’, the narrator takes you through a previous Australian cold case that has recently been reopened in light of new evidence. I should warn you that this podcast is graphic and can be distressing. I’ve had to turn it off more than once because I’ve feel sick to my core, so proceed with caution. If you don’t know, Aaron Hernandez was an American NFL player who was convicted of murder. He committed suicide in prison last year when he was only 28 years old. This podcast looks into his life and tries to uncover where things went wrong. It’s very interesting albeit depressing story about someone who seemed to struggle with his identity. 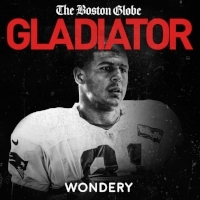 The Boston Globe team who created this podcast, unearthed never-been-heard before recordings of phone calls Hernandez made while incarcerated. They speak to his friends and his family, and look at how been thrown into a football career at 17 years old impacted his life. It might seem like an odd choice, but it covers some important themes. While only up to episode 3, it already highlights how critical mental health is ‒ and that money and fame don’t make you happy.